William (Bill) Henry Wood, Sr., 71, of Port Orange, FL formerly of Troy, passed away on August 9, 2018 with his loving family by his side at the Halifax Medical Center in Daytona Beach, FL. Bill was born in Troy to Vivian Center and George H. Wood on February 4, 1947. He attended Lansingburgh Schools. Bill was employed as a Carpenter and Cabinet Maker. Bill was a member of the North Troy Stag Rod and Gun Club, Sons of Lansingburgh Veterans Club, and the Eagles Club of Daytona Shores (FL). Bill was an avid hunter and fisherman. He loved spending the summer at his camp on the Mohawk River where he could be surrounded by family. Bill also enjoyed being the "supervisor" of his kids' house renovations and projects. 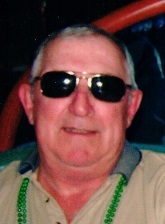 Bill is survived by his wife of 52 years, Judy Wood; his children, Bill Wood Jr. (Dawn), Michele Miles (Michael), Lisa Wood-Jesmain, and Rick Wood (Suzette); and he was "Papa" to 16 grandchildren and "Papa Senior" to 6 great grandchildren; also by his siblings, Paul Center, John Center, Stanley Wood, Wendy Ryan and Ella Wood; and numerous nieces and nephews. He is preceded in death by his parents; and his siblings Mary Wood, Vivian Pengally and Ken Wood. A Celebration of Life will be held on Sunday, September 2, 2018 at McLoughlin & Mason Funeral Home, 8 109th St, Troy, NY from 1 to 3 PM with a prayer at 3. In lieu of flowers, memorial donations may be made to the Mohawk Hudson Humane Society, 3 Oakland Ave., Menands, NY 12204. Please visit www.mcloughlinmason.com.